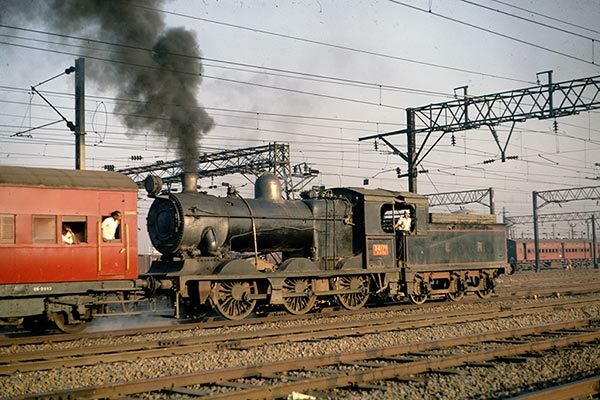 Caption - Eastern Railway (India) SGC2 class 0-6-0 34171 shunting at Calcutta in February 1968. Built by Vulcan Foundry (3123/1915) in the UK this loco was one of many BESA designs adopted by the various Indian Railways. The Standard Goods 0-6-0 was classified SG and were initially un-superheated. Further locos were built new as superheated designs and classified SGS. The SGC were converted to superheating during their life. The class which once numbered nearly 500 locos ended its days in India in the early 1980s but some continued at work in Pakistan until the end of steam in the early 1990s.